America has a number of indigenous domestic livestock breeds that have evolved to meet the particular needs of particular areas. Being such a huge continent, horses, cattle, sheep and dog breeds have all been developed in different regions. The California Red sheep originated in the United States in the early 1970s. They are a cross between the Tunis and the Barbados breeds. The Tunis (above) is one of the oldest breeds native to the United States. The original Tunis sheep came from the Middle East. The first documented importation was from the Bey of Tunis to Judge Richard Peters of Belmont, Pennsylvania. Peters made his rams available to other farmers and gave away lambs in order to spread the breed throughout the area. It was a fat-tailed sheep which, when mated with local sheep in the US around 1799, produced the Tunis that we know today. It has a soft creamy-coloured wool fleece and attractive coppery-red face and legs. It also has a calm disposition and is very feed efficient. There is a high rate of twinning and ewes are excellent mothers. These attributes have been carried over into the California Red. The Barbados Blackbelly (above), the Rambouilette and the Mouflon all figure in the make-up of the Barbado breed. It is naturally short-haired and a fawn colour. The Barbados Blackbelly is a different breed but one of the parents of the Barbado, sometimes referred to as the American Blackbelly. The rams in particular have big curled horns. The California Red is of medium size with rams weighing between 200 and 250 pounds and ewes 120 to 140 pounds. The young lambs are a medium to dark copper red. This becomes a softer oatmeal shade as they mature. They do not have wool on the head or legs which are covered with the characteristic red hair. Rams will often have an attractive red mane running down the neck. The California Red is a polled breed with both sexes being devoid of horns. The ears are pendulous and hang moderately low. The breed has a gentle, quiet disposition and is easy to handle. They are good keepers and will do well on grazing. They need little in the way of supplementary feeding. The California Red is also an easy breeder. 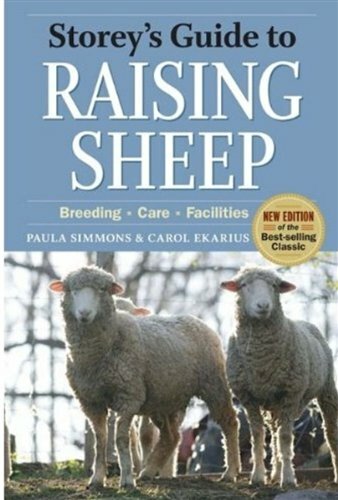 They are aseasonal breeders so will breed all year round although ewes are mostly bred once a year. Twins and triplets are common with ewes producing plenty of milk for their multiple lambs. The ewes are also very protective of their lambs. While the California Red makes a great meat sheep, the wool is very popular with hand-spinners and weavers. The soft, silky staple has a Bradford count of 50 to 60 and a length of three to six inches. The micron count is about 30. The colour of the fleece is really attractive and ranges from a soft oatmeal to a cinnamon colour. It is sometimes flecked with strawberry or copper tones. The meat is tender but has less fat than many of the purely meat breed sheep. Although numbers of this sheep are still low, it is gradually growing in popularity.